I’m in Park City, UT for the last week of Sundance Film Festival. Christine and I have seen 7 films/collections, so here’s a quick list of my favorites. I’m HOPING to have the Weekender Kickstarter ready for launch on December 3rd. Fingers crossed. 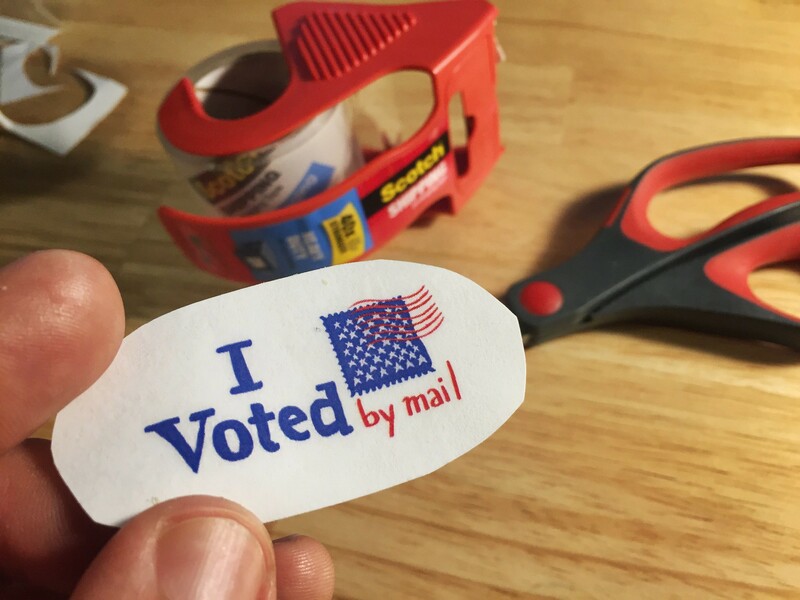 I was disappointed that the San Francisco vote-by-mail ballots didn’t include one of those “I Voted” stickers. So I decided to make my own using some paper and tape (for a laminated effect). I really dig the result. 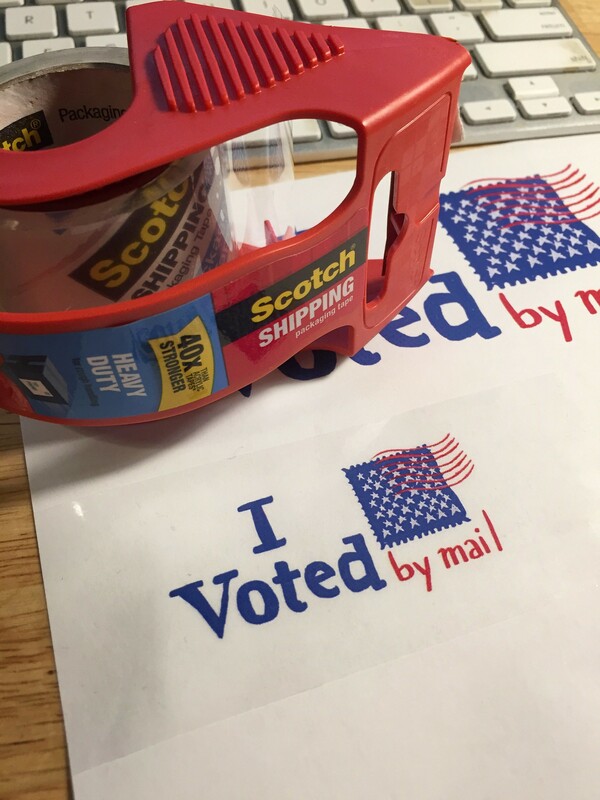 As a matter of fact, I’d love to figure out how to get SF to include something like this “I Voted By Mail” sticker included in the 2020 election.